The last time I had the vinyl version of this album in my hands was at the listening stand in Dublin's Big Brother Records, when it was first released in 2001. The fact that I can even remember this detail so long after says a lot about how I feel about this album. At the time I chose the CD as I knew it would be an album I would want to immerse myself in fully from beginning to end. I would never have thought at the time that the original vinyl would be worth so much money someday but I doubt I would have sold it anyway. This was still a time when word of mouth from friends and record shop staff was very important for discovering new music. In this case, I think that Alan O'Boyle from Decal had already tipped me off about the album and its connection to Drexciya but Big Brother's Killian also made sure I knew who I was listening to when I asked for it that day. Big Brother was a small basement electronic/dance music shop that unsurprisingly no longer exists 16 years later. Of course, much else has changed in how we consume and experience music since then. While there might still be a few purely Internet cafes around, the regular cafe has itself changed (a process that just just beginning then) and become truly wireless and is now the most visible public space for people to access the virtual world with handheld devices. The paradox will always be that you have to disconnect from the real world to enter this wider but virtual one and I think the album is somewhat concerned with that. 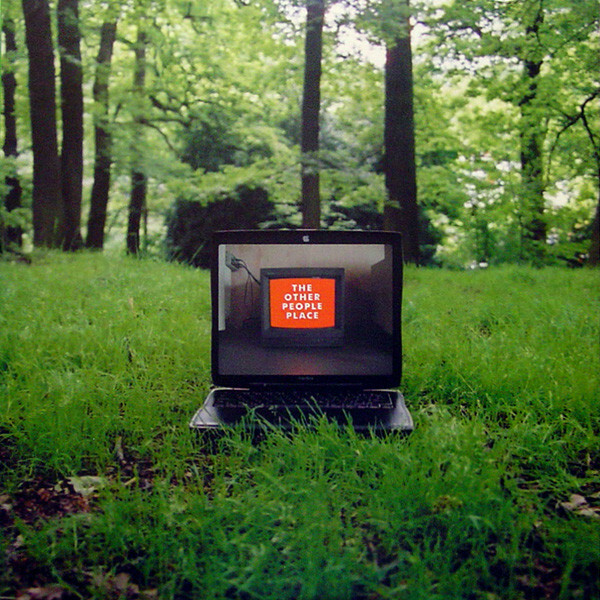 I've always felt that the album cover could be interpreted to show the laptop as the interface between these two worlds, that of nature (real) and the interior of a room on the screen of the laptop (virtual). Might this be 'The Other People Place', the corner of a room in virtual reality (a 2D image of reality)? The Designers Republic did an amazing job with this now iconic sleeve. When it arrived I imagined what a kick James Stinson must have gotten when he first saw the finished product as well. From the music and titles he'd sent to a label on the other side of the world, to see those things transformed and multiplied into this beautiful physical object must have been a very special experience. In the same way that vinyl refuses to die (the vinyl revival was already well underway in 2001, trust me), this album has been steadily growing in stature by word of mouth in the real and virtual world ever since. It was inevitable that Warp would eventually feel the time was right for a re-press and I've no doubt that in another 10 years or less there will be sufficient demand from the next generation to press it again. It's an album that does not sound dated in any way. It certainly helps that its production is so seemingly minimal and that it comes packed with so much soul. Its themes are the eternal ones of love, life, meaning, nature, identity and technology. It's a wonderful soundtrack for life (styles), in that it's one of those albums you keep finding new sides to as you grow older. There's a good chance you already know the tracks on this album and have your own favourites, but for me, 'Let Me Be Me', is still the special one but they all are really. Each of its 8 tracks manage to work together to create a consistent mood and take one away, like the beautiful 'Eye Contact' or 'Sunrays', for instance, and you would have a very different and stunted experience. I wouldn't have known this was a solo effort from Stinson at the time; no-one even knew his name widely then, sadly this would only happen on his death about a year and a half later. I don't think that anyone would have known either for a few more months at least that this was to be the first album to be released from Drexciya's 7 album Storm Series. I know I treated it as another of their one-off projects at the time, like The Elecktroids, whose album had also been released by Warp six years earlier. I loved the album right away but was initially surprised that it was so very different from Drexciya's music and signature sounds. I have previously reviewed the album in more detail here in the context of its place in the Storm Series. From looking at them all together back in 2005 I personally thought the album was number 3 in the series and that it was about finding your true self and developing/retaining your basic human emotions, especially love and not to become a victim of the coldness of technology/modern society but everyone will have their own opinions. You can still order it from Bleep here. I bought this lp off Killian in Big Brother too. 2001 eh? Wow! It immediately captivated me and its classy, sublime atmospheres and grooves continue to spellbind. Great to see it reissued so a whole new generation can enjoy. Don't sleep on it. You need this record in your life.